Welcome to M.A.G. Challenge #29, this week we are using Gypsy Wanderings page 68, remember we are to use only the images on this page! 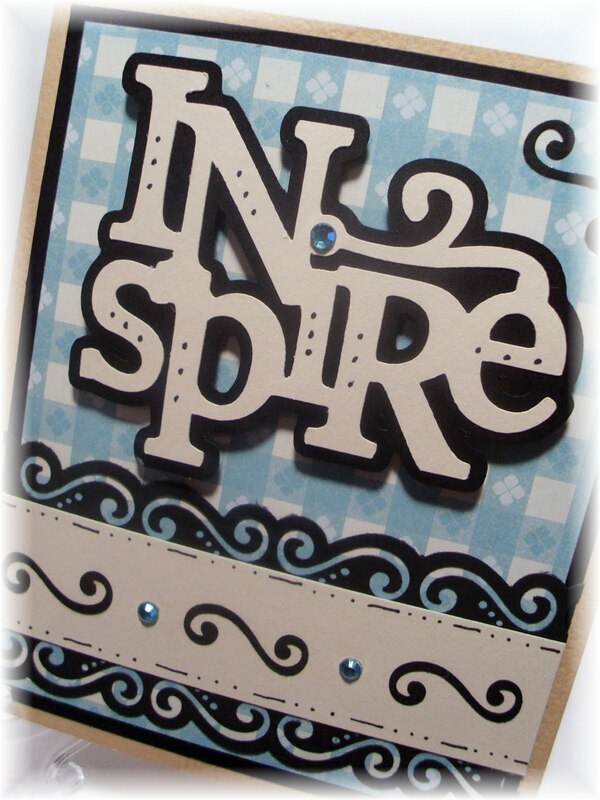 I chose to use "Inspire" I thought it is very fitting, so many of you really inspire me on many of my creations! Now on to my card it is cut at 4.25x5.00 each mat is a quarter of an inch smaller than the other, the image is cut at 2.4. I also used an EK Success punch. 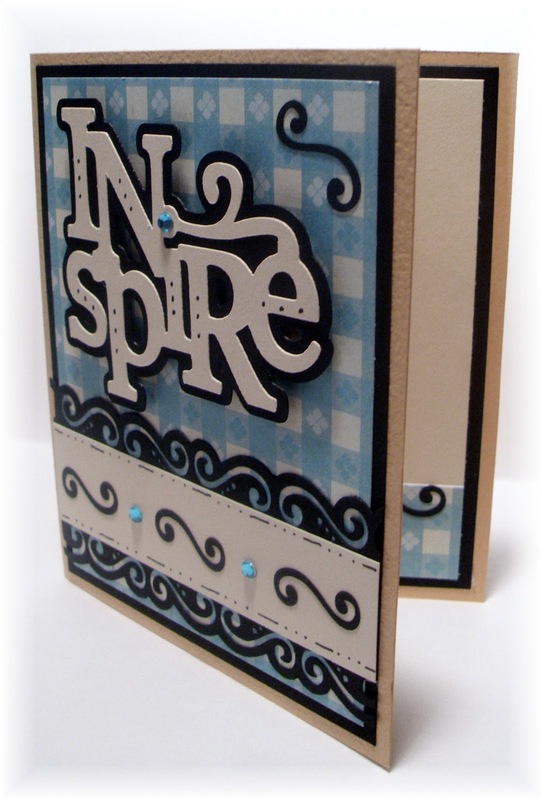 You can't go wrong with a little bling, doodling and faux stitching! 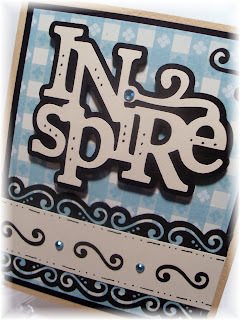 I hope I have inspired you to get your creative juices flowing and link your project to M.A.G. Challenge by the page and make sure you invite a friend to join in on the fun! Love your card Melissa!...FYI I cannot see your card over at MAG?... I just took a look at your blog and WOW! love the Wool card and the MOO-Chas Gracias! Love it! !...actually the more I look the more super cards I see... the car one? love it! 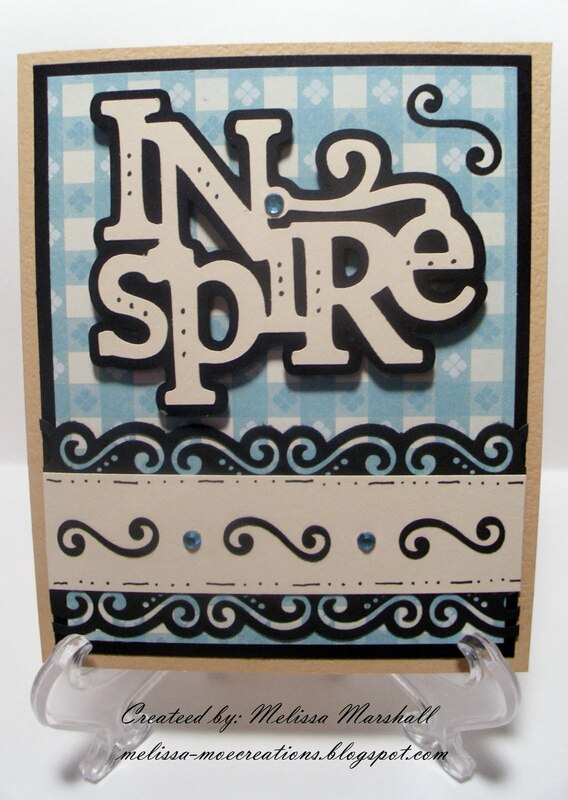 Awesome job on this card Melissa! This card is awesome!! I love it!!! 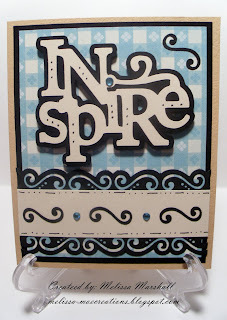 Such a great sentiment and layout! Awesome job!TFS!